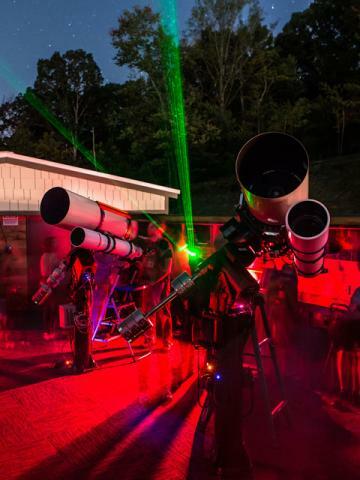 Join the Astronomy Club of Asheville and the UNC Asheville Physics Department for an evening of astronomical observing at Lookout Observatory on the university's campus. This year's star party theme is "The Moon and Beyond," so while the Moon will be our focus, there will be numerous other celestial bodies to observe, including double stars, nebulae, star clusters, and galaxies. This stargaze is free and open to the public, though registration is required, which will be available on the Lookout Observatory website two weeks prior to the stargaze. The weather backup night will be Saturday, April 13th. Check the observatory website after 6:30pm for the latest updates.